Have you ever notice that it's very difficult to use two similar apk in a same smartphone. But we make it quite easy. Now you can use two similar app in a same phone without rooting your phone.This is a simple way that really help you to install two whatsapp , messenger , facebook, IMO etc in a same phone. 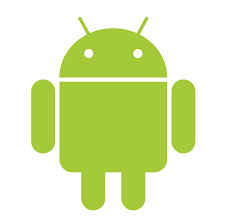 There is a lots of methods that helps you to install two similar apk in android. But that methods are quite leanthy and required rooted device. But if you wouldn't want to root your lovelable smartphone then we have a another tricks . This trick works successfully. Now move that app which you would like to use in parallel space.Just swipe app into parallel Space. For instance, if you want to use two whatsapp in same phone then swipe you whatsapp app into parallel space. Now you will be able to use a new whatsapp account in parallel space app. Just open Parallel space and select whatsapp , make new account and start using it. You can use any android app . Just swipe the app and open it on parallel space app.